When I opened my email this week, I saw a wonderful message that said I was nominated for two blogging awards. What a fantastic feeling! I started this blog a few years ago to create a place where I could share insights about how people can practice creativity ‘smackdab’ in the middle of their life. The blog has been a place that I’ve grown as a writer and found a lovely community of other creative folk. 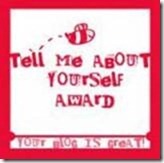 -Give a shout out to the blogger that nominated you and link back to their blog. Thanks Edith O Nuallain! Her fabulous blog is In A Room of My Own. You rock! I hope good karma follows you around like a happy puppy. I also want to thank the readers and supportive friends, over the years, that encouraged me to keep writing on my blog. 1) My writing life keeps me sane and grounded. I also write, of course, because I am deeply in love with literature. I’m driven to discover if I can create that magical out of body and time sensation for a reader that I feel when reading. 2) I write speculative fiction with a literary sensibility. I’m finishing a second draft of a novel and collection of short stories. I’m also working on a book about my approach to creativity. 3) I am obsessed with pugs and collect many pug themed items including pug cards, pug calendars, and a pug ‘piggy’ bank. I also share a home with Ginger, a silver pug. 4) I started my creativity coaching practice in 2004. It’s called The Creative Tickle® and most people smile when they hear or read the name (I bet you’re smiling now). The idea came to me after I woke up from a dream and it felt perfect. The name exemplifies my approach to creativity– easeful, accessible and joyful. 5) I’ve fantasized about writing under different names. In my 20s I wanted to write under the name Aja Pennybone and in my 30s it was Michele Instar. The word ‘instar’ is used to describe a developmental phase of anthropods. Now, I spend more of my time actually writing (as opposed to daydreaming of fame and fortune), and am proud to use my full name Michele Tracy Berger. 6) As I’ve gotten older, I’ve developed quite an aversion to elevators. When traveling, I ask the hotel to accommodate me by putting me on a low floor (sixth floor or below). I spend so much of my time avoiding elevators and roaming stairwells, I think I could write a memoir. You wouldn’t believe what goes on in hotel stairwells! 7) I traveled to India, with my partner Tim, in 2010. I’m attracted to the depth and insight of a writer’s blog. I’m always looking for a complicated imagination as expressed through analysis, insight and good writing. Simply said, I don’t like a lot of fluff. 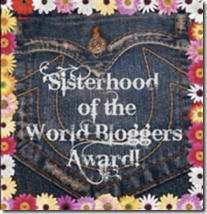 Here are my nominations for seven terrific bloggers. I’m always eager to read what they share.